I’m going to try to keep this a bit brief. I know, I know, some of you won’t believe me. Some are already buckled down laughing. Well, just watch. Not too brief, though. That wouldn’t be prudent, as George Bush the First used to say. I don’t know if it is prudent to open a can of worms and try to be brief. I hope I don’t step on anyone’s toes. But here goes. You know we sell books at a lot of mainline denominational events. I have noted before with great gladness that I’ve noticed in my lifetime a more vibrant faith and robust spirituality within our mainline churches than ever before. I think maybe 25 years ago or so reading about and experiencing contemplative spirituality became a major feature of nearly every mainline denominational clergy gathering of which I know. Liberal or conservative, authors such as Richard Foster and — most obviously, Henri Nouwen — paved the way for new layers of talking about faith. As one who has dabbled in this contemplative literature, starting (perhaps foolishly) with Thomas Merton, you surely know we think this is a good, good thing. I am truly glad for authors that are most known and quite popular in many mainline denominational circles, and I am glad that many evangelical readers are now reading some of these same writers. You know that we carry, appreciate (and have been blessed to have met) some of the likes of Joyce Rupp, Richard Rohr, John Philip Newell, Marcina Wiederkehr, Parker Palmer, Gerald May, Tilden Edwards. I love the moving, gentle memoirs of Kathleen Norris and the fine writing of Paula D’Arcy and Sue Monk Kidd. I like the Celtic stuff of David Adams, the ecumenical work of Taize, led by authors like Brother Roger. I wish the community-minded, justice-seeking spirituality of Gordon Crosby and Elizabeth O’Connor were better known. 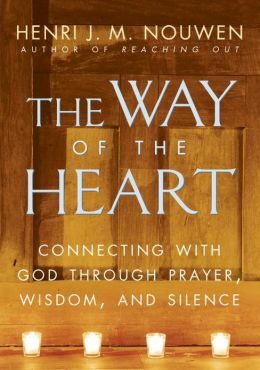 I am challenged and impressed by the deep work of Cynthia Bourgeault, drawing on the serious centering prayer tradition of Thomas Keating. Another set of good friends — women who mostly are coming out of the evangelical tradition — have recently founded local retreat space and training center for those wanting to deepen their interior lives, Kavannah House, here in York, PA.
directors and seekers come to us to find the sorts of books they need, bread for their journeys, books by authors that can help us grow in deepened, focused spirituality. Hooray! Okay, you know much of this. You know our shelves on these topics are bulging. But here is my quick opening of a small can of worms. I fear that sometimes, some of this is getting, well, kinda goofy. Not most writers, and not necessarily the ones I named above, but some, are drifting from historic, classic, Christian orthodoxy. I hate to sound like Eugene Peterson or Marva Dawn (well, actually, I’d be honored to sound like them) but we maybe have to be a bit gruff and remind ourselves to keep Christ the King at the center of our centering. This is not the time or place to critique odd-ball theology or touchy-feely pscho-babble that sometimes passes for spirituality. It isn’t even the time or place (although I am tempted) to examine the inherent dualisms that undergird much medieval and monastic spirituality, and those modern writers standing in that legacy. See the book Being Human: The Nature of Spiritual Experience by Ronald Macaulay & Jarram Barrs (IVP; $20.00) for a good start to that conversation. Why, even Bill Edgar’s book on Francis Schaeffer‘s “counter-cultural spirituality” that we reviewed a few weeks ago would be useful. And I do not even mean to dismiss all touchy feely stuff. I quite like the new Joyce Rupp collection of poems, which are almost prayers, My Soul Feels Lean (Sorin Books; $15.95.) And not all contemporary popular-level mysticism is goofy, not at all. Father Ronald Rolheiser’s very popular work comes to mind as some of the more substantive stuff on spirituality done in recent years. 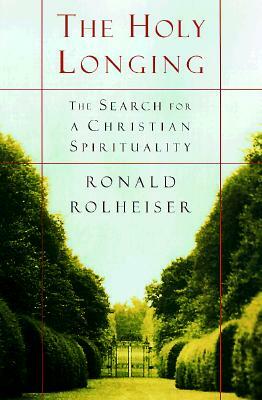 Most of his books are fantastic, but everyone agrees that The Holy Longing: The Search for a Christian Spirituality (Doubleday; $23.00) is amazing. I’d start with that one of his. And I think most of the Franciscan Richard Rohr’s work is very, very helpful. And Parker Palmer — oh my. Excellent, in his gentle Quaker kind of way. There is, these days, I think, a confusion that is popular, a conflating of spirituality and knowing one’s own self. Now as a Calvinist, I know that the great Frenchman himself said that the two are profoundly inter-related, knowing self and knowing God. Yes, yes. And, to confuse matters, there are books that don’t fall into this casually, as in error, but are about that topic (namely, what sort of human developmental growth we can have as we open ourselves to God.) And that is a good thing, too. For instance, see a recent book called Spirituality and the Awakening Self: The Sacred Journey of Transformation by David Benner (Brazos; $19.99.) If I viewed this as a devotional study about how to experience God more deeply, I’d be annoyed. I want to give Dr. Benner the benefit of the doubt, especially since (a) his other books on spirituality are so, so, good and (b) he is a psychologist by trade, and this is a book more to explore the human self rather than spirituality, per se; it isn’t about the spiritual disciplines, really, but on becoming; it is about growth. It suggests meditation and dreamwork and prayer and all the other historic disciplines but turns them less towards communion with God but on self awareness and personal growth. You see, this is a bit vexing. It may be a fine project. Yet, he’s quoting nutty stuff like Eckhart Tolle, non-Christian theorists like Ken Wilber, and heterodox scholars like Matthew Fox. His citations from historic folks range from St. Bonaventure to Hildegard of Bingen to St. John of the Cross. Again, this is not necessarily wrong, but there it is: evangelicals are, well, I was going to say “getting kinda weird on us.” Allow me to be more gracious. Some evangelicals don’t sound like your father’s evangelicals. And whether this is good or bad, well, there’s that can of worms that can’t be unpacked here, briefly. There is a very common style of devotional book these days that is more about one’s own self-hood than about God. 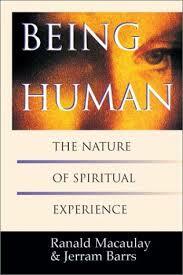 There are books that are about finding some vague spiritual center rather than union with Christ. Basic Christian stuff like the Trinitarian nature of God and the cruciform nature of salvation, received through faith, by grace, is glossed over in terms that are sometimes so allusive as to be hardly meaningful, or so vague as to be hardly helpful. And some folks love them. And so, I worry just a bit about this. I think we need books that are whimsical, certainly we need those (a specialty of ours, here, actually) about the spirituality of the ordinary, finding God in the day to day, in a being-redeemed creation. Practicing the presence, being wholly holy, fully alive and mindful, etcetera, etcetera. But, we also need from time to time a heavy dose of the glory and holiness of God, revealed also in a creation weighted with glory. Just today a customer picked up St. Ephrem the Syrian’s famous Hymns on Paradise (St. Vladamir’s Seminary Press; $18.00.) Wow, now that’s what I’m talikin’ about! One need not read only the Russian or Syrian mystics, but some modern books on the inner journey seem to lack a certain gravitas. This is serious business, you know, being made more human by knowing God through Christ. Annie Dillard is right. We should be strapping on crash helmets when we go to church. There are a few recent evangelical books that I think counter some of the less than solid theology seen in some recent spirituality books. I think these are mature and serious and solid and joyful — perhaps I can make a bigger list later. For now, I must tell you about a major release, a book that some of us have been waiting for for decades. It is magisterial; nothing short of brilliant. As I’ve suggested, I think it is a book sorely needed, and I’m very, very eager to recommend it. Here is what this amazingly diverse and very learned book does. It offers clear-headed, centrist evangelical theologians offering their take on various sorts of great spiritual classics, giving ways to appreciate and benefit from this genre, even as some of the liabilities are named and exposed. This is generous, ecumenical work at its finest, affirming the best of other traditions, and yet reading them as evangelicals. Here you have an absolutely unrivaled mapping by experts of the whole church’s rich, smorgasbord heritage of Chrsit-centered, sanctification-focused devotional writing, most of which will be unknown to most of us. What to do with it? Take it as your tour guide and start reading its recommended texts. You will be glad you did, I promise you. Wealth awaits. This collection of essays is in every sense of the word an introduction to the Christian classics for evangelicals. It gives all the right reasons for reading the classics, pointers on how to do it and a handy map to navigate through various genres and traditions. The beginner will not be disappointed, while the more advanced may still pick up some useful tips from these seasoned guides. My only quibble about that quote: Chan says “the more advanced may still pick up some useful tips.” I say the more advanced certainly will be blown away! If you have even a little familiarity with these historic devotional classics, you will eat this up. I promised to try to be brief. I won’t list any more titles, although we continue to get good and useful resources for your spiritual life. Lighter or heavier, there are lots, and we love to offer them. But this. This is one you really should buy and really should study. 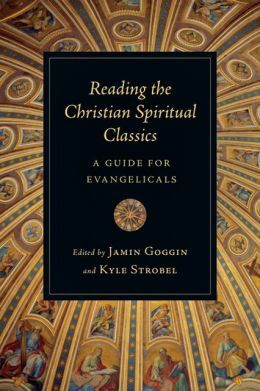 There is nothing quite like Reading the Christian Spiritual Classics: A Guide for Evangelicals and it may help turn the tide away from the light-weight and odd and sentimental, helping us choose the very best, and guiding us towards reading them well and faithfully. For this, we can be very, very grateful.